Once upon a time, in a land not far from the middle of nowhere, there stood a farm of peculiar tales. Rumour had it, that some of the townsfolk had witnessed the farmer’s cows playing Hide & Seek in the long reeds that hugged his property. Slowly the small crowd of people who came to inquire at the farmer’s doorstep began turning away, taking the farmer at his word. “What a silly thing indeed. Perhaps I didn’t have my glasses on that day” said one of the witnesses. “What a silly thing indeed” croaked another. I too began to turn, but as I did I caught the farmer’s eye. He looked at me, winked, and closed the door. The challenge of shooting at a location that has already been well photographed by others, is finding an image to call your own, not settling for the easy frame, but working the land, finding the unique, crafting the uncaptured, and telling an untold story. 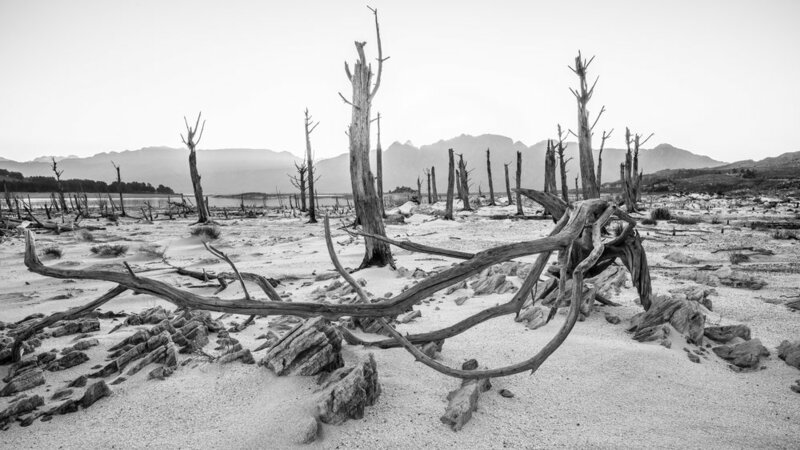 As I stepped carefully around Theewaterskloof Dam, cautious of not leaving footprints where an image might exist, I was stopped instantly by this captivating branch, or in my mind, ancient elephant Tusks. There was a pause. The wind quieted. I stood still as the wind whirled around me, rain drops tapping me on my face. The silent mountains towered before me. Majestic. Mysterious. They beckoned me. The great waterfall, nestled in their heart, cascaded downward; untamed, alive, free. Clouds dancing above, the ancient mountains stretched their hands Into the Heavens. The majority of my work can be classified as “landscape photography”, and as a result, I am often referred to as a “landscape photographer”. Though the title is accurate in nature, I prefer going by “light chaser”, “capturer of the wild”, “epic explorer of the most epic locations” etc. You get the picture 😊. You see, while the result of my work is images of landscapes, its exploring new locations and being involved in a creative process that fuels my passion and relentless drive to discover the next shot (or to me, the next masterpiece 😊)! 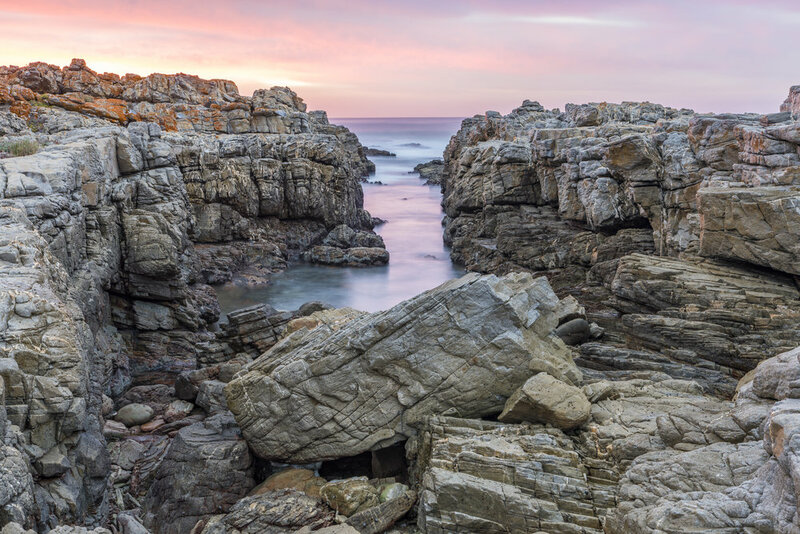 Having never adventured to South Africa’s west coast, it was time to explore. To the Batmobile! After a few hours of travel through somewhat arid terrain, my family and I came to a small fishing town that lays next to the Atlantic Ocean. We walked around for some time, past old buildings (some of which were deserted), next to a flock of vibrant flamingos, along a windy beach, and eventually, over to a group of derelict fishing docks. One in particular caught my eye. It was beautiful. The character. The missing boards in the middle of the jetty. 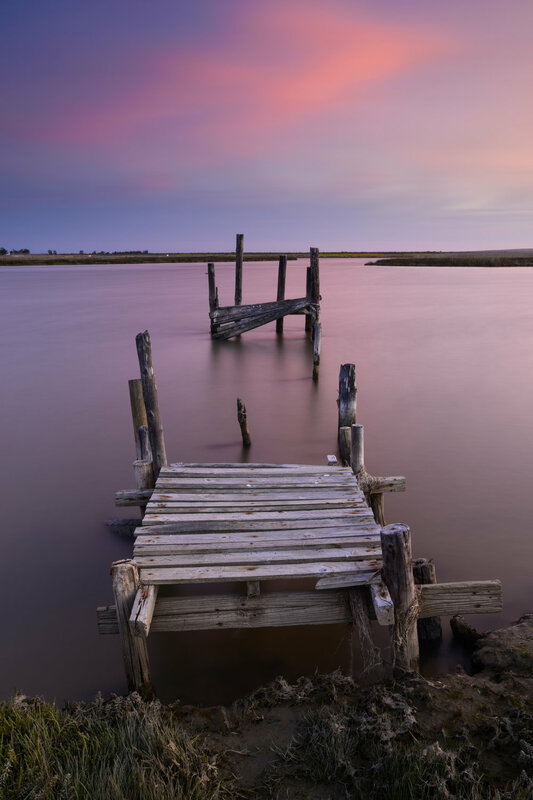 Who once built and worked along this old dock? I’m sure if it could talk, the stories it would tell! Did I mention referring to myself as a light chaser? I had found my subject, but what would truly make this shot was the right light. Over the next two hours I stood, not moving from my easel (tripod), waiting for the colours to splash upon my canvas. But would mother nature cooperate? She appeared stubborn, unyielding to my cries. The clouds too dense, the sun almost set for the night, I wasn’t going to get the colour I had hoped for. “Just one more shot,” I called to my wife (for the 10th time) who waited patiently with my 11-month-old son. Unexpectedly, and to my utmost excitement, the sky erupted with colour, smearing also on to the waves in front of me. I clicked my remote shutter release, held my breath and waited. 76 seconds later it was done. I checked the image on my camera. Got it. And like that, the sun was gone. A few hours of driving. A few hours of exploring. A few hours of waiting. All for a moment. This is, landscape photography.